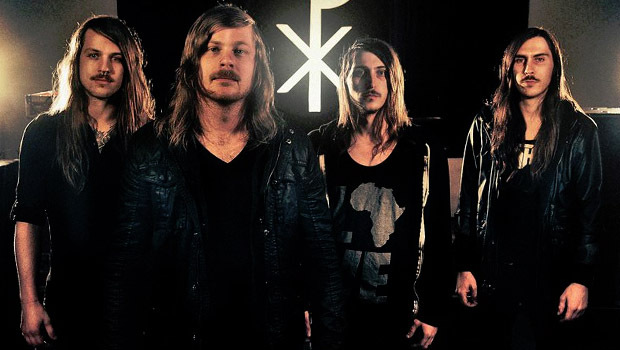 Phinehas makes their Artery Records debut with their record “‘Til the End” which releases on July 10th. 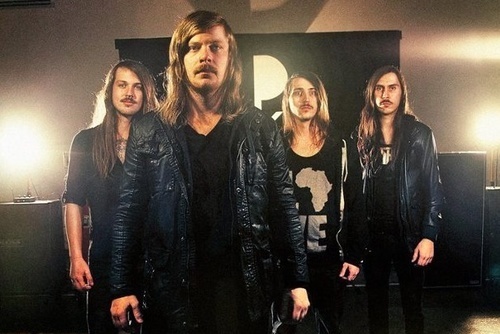 My brother Josiah talked to Phinehas recently at Creation Fest East about the new record, playing at festivals, and their new relationship with the Artery Records. Josiah: I understand you guys have a new album coming out on July 10th called Til the End. Can you guys tell me a little bit about that? Sean McCulloch: Yeah! Til the End is our third release. We are really pumped for it. It’s got some heavy stuff. Some very aggressive stuff. Some melodic stuff as well. We’ve released two songs off of it…the first one is called Dead Choir. The second one is called Tetelestai. Everyone should go check out those songs on YouTube right now! Josiah: This is your first release with Artery Records. Has it been different working with them at all? Bryce Kelley: It’s been wonderful. Everybody that they have working there…there’s just so many people to list. In general, the staff they have working there…everybody is insanely helpful. They’re responsive and they’re great people to work with! So we’re excited to be doing this record with them. Daniel Gailey: Not really! We’ve never had any problems. Everyone is always very respectful. I can’t really speak for myself because I’m a total jerk (laughter all around). No, I’m just kidding… But yeah everyone has always been super respectful. It’s cool to be able to tour with those bands because a big part of our ministry is to other bands. It’s not just the kids that are at the shows. We’ve never had a problem. We always end up becoming good friends. It’s pretty cool! Josiah: What is the best tour memory that you have? Lee Humerian: We’ve been a touring band since 2012. As far as tour experience…honestly, I feel like every tour in one way, shape, or form has something positive that we take away from it. Just coming to mind, our best friends are Silent Planet. Any time we get to tour with Silent Planet, we’re stoked just to hang out with them. They’re all brothers so getting to spend time with them has always been a blast. Bryce: Any time we get to go to the beach. Josiah: The beach is nice. Bryce: I like to swim. Josiah: You guys look about the same age as me. Who did you grow up listening to? Dan: I grew up on a lot of classic rock. My parents listened to it a lot. My favorite band growing up was Van Halen. It’s a huge influence on my guitar playing. Boston is another band. And then when I got into high school, I started getting into heavier stuff. But the classic stuff is what started it all for me I guess. Josiah: You guys are playing an outdoor festival. Do you guys like playing outdoor festivals? Bryce: In the summer, we do them than any other time of the year. Bryce: The winter outdoor ones are the best ones in the snow! Bryce: That actually turned out being pretty fun! Terrible festival memories are the ones where it just pours rain. We did this festival in Texas where it was torrential downpours the whole time. Our van slid off the road! Dan: Alliance was interesting though! Very interesting! Sean: Cornerstone 2012. It was about 113 degrees outside all day. That was terrible! Lee: Sleeping in the van… We played at midnight and it was still like 100 degrees. This entry was posted in art, Christianity, metal and tagged boston, metal, phinehas, silent planet, solid state records, van halen. Bookmark the permalink.